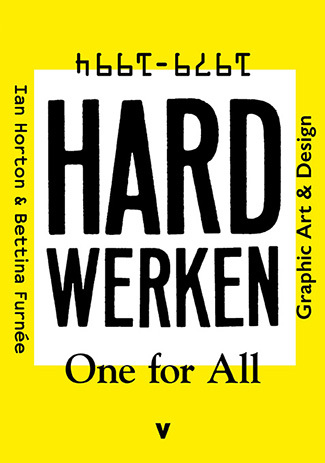 Hard Werken • One for All is the first major publication on the experimental Rotterdam-based design studio Hard Werken [Working Hard, Travailler dur], also known for the underground magazine of the same name. 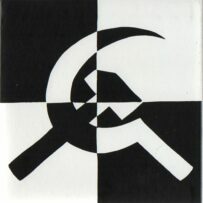 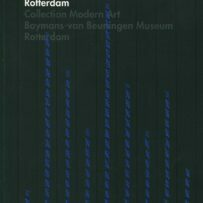 Hard Werken’s anarchic design, smattering high with low culture and running contrary to typographic conventions and modernist currents of the time, characterized this group as a brash, elusive, and distinctly Rotterdam phenomenon. 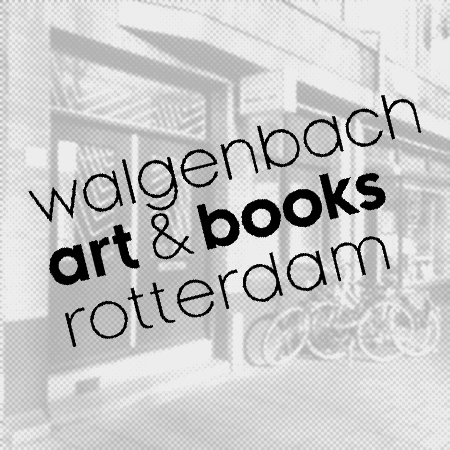 However, working in Rotterdam and Los Angeles, the core members Henk Elenga, Kees de Gruiter, Gerard Hadders, Tom van den Haspel, Willem Kars and Rick Vermeulen also had worldwide ambitions.